It isn’t uncommon for students at Webster University — or those in the St. Louis area — to refer to Webster as the “gay” school. Many conjecture half the Webster student population is gay. Up until research was conducted for the Delegate’s Agenda, these statements had been relatively unfounded. While I felt they were true (I have never met more gay people in my life than I have at Webster), there was previously little-to-no data to back up the claim. Rosie Jones, Jon Strauser and I conducted a survey of the student body which showed over 50 percent of the student population identifies as part of or an ally of the Lesbian, Gay, Bisexual, Transgender, and Queer (LGBTQ) community. Unlike other minority groups, sexual and gender identities cannot be measured by Webster’s current data systems. There is no checkbox on an admission form or financial aid application. Therefore, there is no record of LGBTQ students to support the resources we have to offer, as we do with students of other minority groups. This is why it’s so vital we make information about inclusive policies, practices and facilities accessible. The more we researched and talked to students, the more we understood the diversity of the Webster population. However, the LGBTQ student and ally population did not feel inclusion was as clearly reflected by the administration. What we presented at the Delegate’s Agenda is, of course, only the beginning of what we hope will be a more LGBTQ-friendly administration in terms of policy and education in the future. We are asking for administrative support through fast action in approving an LGBTQ studies minor. We have information on already-created as well as possible classes for the program, and faculty members across departments have expressed interest in teaching this subject. We are hoping our presentation will promote inclusion by educating the Webster population on how to be more LGBTQ-friendly. A start is helping our trans* and gender-nonconforming students feel comfortable. Imagine using the bathroom for a gender you don’t identify with multiple times on a daily basis. Implementing gender-inclusive restrooms and education on the subject is as much of a safety issue as it is an issue of inclusivity. According to a survey conducted by the National Center for Transgender Equality in 2011, half of the 6,000 American transgender participants reported experiences with harassment in bathrooms and other public places, and 10 percent said they were physically attacked. We are asking for the administration to change preexisting unisex restroom labels from “family” to gender-neutral signage. We also seek the approval of the “Education by the Restroom” program, which will place signage outside of every restroom on campus with information about harassment policies and how to report harassment. Finally, we want the implementation of explicit policies outlining gender-neutral facilities for future buildings. 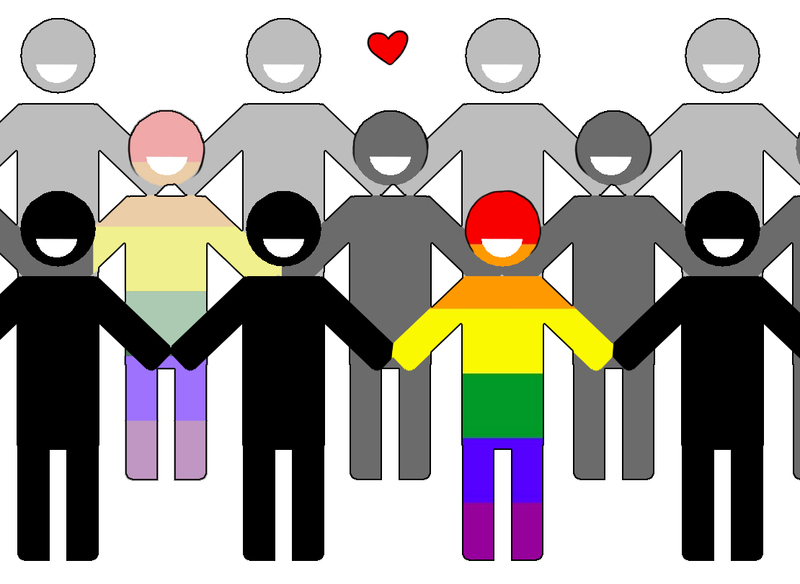 We ask for the addition of an LGBTQ resource page link that outlines inclusive policies and practices by Housing and Reslife, Multicultural Center and International Student Affairs and other on campus departments and includes information about the newly-implemented LGBTQ Studies minor and available elective classes and the “Education by the Restroom” program. More than 60 percent of Webster students don’t know where gender-neutral restroom facilities are located, according to our survey, so we would like a map that designates where they can be found. We are asking to transition toward all faculty and staff attending one workshop a year. SafeZONE provides free resources in facilitator and user guides. The goal is for Webster to be an LGBTQ-friendly campus. Office of Diversity and Inclusion Assistant Vice President Nicole Roach has already agreed to fill out a Campus Pride Index survey to help make this happen.